Volunteers will be canvassing the city of Bell Gardens for homeless living on the streets, parks or cars as part of the annual Greater Los Angeles Homeless Count, officials announced. City personnel, members of the police department, neighborhood watch and the police explorers will conduct the count Jan. 26 to assist the Los Angeles Homeless Services Authority (LAHSA). Volunteers will document the number of homeless persons they locate without making physical contact, according to the city. The goal is to obtain an estimate of the unsheltered population in the city. When completed, the tally will be forwarded to LAHSA, which uses numbers to advocate for aid and measures to address the local homelessness in the community. Bell Gardens Community Development Director Abel Avalos told EGP the last homeless count in the city by LAHSA in 2011 estimated 195 homeless persons. Residents who are aware of specific locations where transients typically reside are asked to contact Officer Victor Ruiz of the Bell Gardens Police Department at vruiz@bgpd.org or by calling him at (562) 806-7600. The Los Angeles Homeless Services Authority is seeking 6,000 volunteers to assist with the 2015 Greater Los Angeles Homeless Count, which will be held Jan. 27-29. 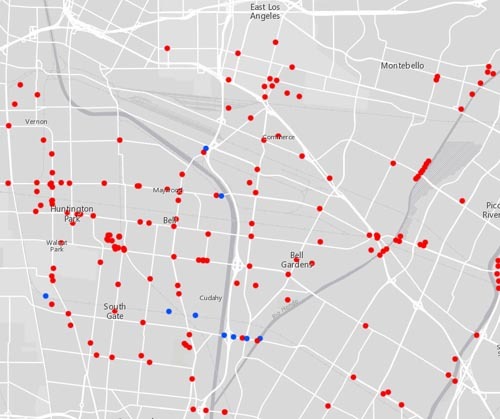 Volunteers will be dispatched from 87 regional deployment centers to targeted census tracts throughout Los Angeles County to record the number of homeless people, vehicles used as homes and homeless encampments observed. Volunteers will select their preferred deployment center when they register at TheyCountWillYou.org. The count will be conducted in the San Gabriel Valley and Eastern Los Angeles County from 8 p.m.-midnight on Jan. 27; in West Los Angeles and the South Bay from 8 p.m.-midnight on Jan. 28; in the Antelope Valley from 6-10 a.m. on Jan. 29; and the San Fernando Valley, Santa Clarita Valley, metropolitan Los Angeles and South Los Angeles from 8 p.m.-midnight on Jan. 29. 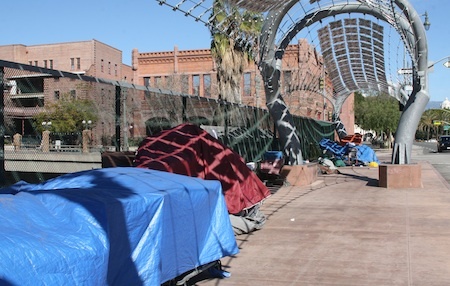 The count will follow definitions of homelessness established by the U.S. Department of Housing and Urban Development, which include people living in places not meant for human habitation such as cars, parks, sidewalks and abandoned buildings. A simultaneous count by service provider staff will enumerate homeless individuals and family members staying in emergency shelters and other homeless programs. In conjunction with the three-night street and shelter count, the Los Angeles Homeless Services Authority will perform a detailed demographic survey to collect information critical in planning and assigning resources for homeless programs and services, it says. The survey will capture such demographic data as age, gender, ethnicity, individual and family homelessness, duration of homelessness, and veteran status. Additional demographic data seeks to identify reasons why individuals became homeless, services utilized and benefits received. “The 2015 Greater Los Angeles Homeless Count is a critical opportunity to gain information about the size and scope of the challenge we face to house community residents experiencing homelessness,” said Executive Director Peter Lynn. The homeless count is conducted every two years. The 2013 count found more than 39,000 homeless men, women and children. Additional information is available by emailing HomelessCount@lahsa.org.